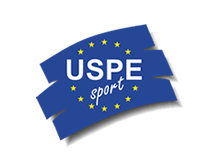 The Union Sportive des Polices d’Europe (USPE) was founded in Paris on 30 November 1950 by 10 European countries at the initiative of the French Police Sports Association. Its founding members were Belgium, Denmark, Finland, France, Great Britain, Luxembourg, the Netherlands, Norway, Sweden and Switzerland. While USPE had twelve members in 1976, its membership had grown to 20 by the 23rd Congress that was held in Berlin back in 1990. After the fall of the Berlin Wall and Europe's opening-up towards the East, it was also possible to admit Eastern European nations as USPE members. Today, USPE is made up of 40 European countries. USPE's registered office is located at the seat of the General Secretariat in Meiningen. 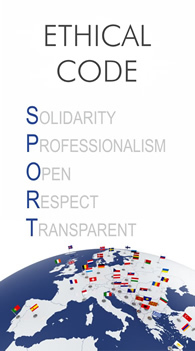 USPE's objective is to promote police sport within its member countries. USPE organises European Police Championships held at 4-year intervals by the member countries in 16 sporting disciplines. At present, European Police Championships take place in Basketball, Cross Country, Football, Handball, Judo, Track and Field, Marathon, Cycling, Wrestling, Shooting, Swimming, Skiing, Tennis, Table Tennis, Triathlon and Volleyball. Between 1951 and 2015, a total number of 192 USPE European Police Championships have been organised. USPE is seeking to promote and increase the proportion of women in police sport. With the exception of Wrestling, all championships are organised for men and women alike. Every two years, USPE also hosts a European Police Sport Conference that is of considerable importance as it ensures fruitful cooperation by providing a discussion forum for the member countries. 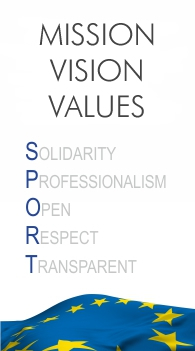 For instance, the previous Conferences formulated the Mission, Vision and Values of USPE, further developed the European Police Sports Badge (EPLA), while also focusing on ways and means to professionalise the organisation of European Police Championships. Apart from that, the Conference also offers member countries a platform for showcasing the way police sport is practised in their respective countries. Besides promoting police sport, such events are instrumental in fostering contacts between individuals, while raising an awareness and understanding of different cultures, which will eventually result in the harmonisation of intercultural cooperation in everyday policing. USPE is recognised and supported by the IOC. Moreover, USPE seeks to forge ties and develop joint projects with the European Sports Federations for putting sport on a broad basis all over Europe. Currently, USPE holds cooperation agreements with the Union of European Football Associations (UEFA), the European Handball Federation (EHF), the European Judo Union (EJU) and the European Swimming Federation (LEN). This cooperation permits USPE to professionally organise the championships, while allowing it to show sport in a positive light towards the ministries. For promoting police sport in general and for maintaining the health of European police officers, USPE completely revised the European Police Performance Badge in close cooperation with the Technical University of Munich and in line with sports science standards. The supreme body of USPE is the Congress that takes place every two years. Inter alia, it determines USPE's strategic direction and decides on the admission of new countries and the amendment of the respective sets of rules. In addition, the Congress elects the members of both the Executive Committee and the Technical Committee. Irrespective of its size, each member country has two votes. Between Congresses, the Executive Committee is responsible for running USPE's affairs. It is made up of the President, two Vice-Presidents, the Secretary-General, the General Treasurer as well as 5 EC members. The Executive Committee is headed by the President, and the members of the Executive Committee are elected by the Congress for a four-year term by secret ballot. They can be re-elected twice. Chaired by the Secretary-General, the Technical Committee is responsible for all technical aspects related to the various sporting disciplines. It comprises 8 members from different member countries. Each member is responsible for two of the sporting disciplines represented within USPE. Apart from the Secretary-General, the members of this committee are to ensure the proper organisation and conduct of USPE European Police Championships in line with USPE rules. Furthermore, the work of the Technical Committee also focuses on updating the Competition Rules. If need be, the respective amendments are proposed by the Executive Committee. The members of the Technical Committee are elected by the Congress by secret ballot for a period of four years. They may be re-elected twice. USPE has acknowledged the WADA Code and actively fights against doping. For this purpose, USPE has an Anti-Doping Commissioner whose tasks include consulting the various USPE bodies and raising awareness of anti-doping issues amongst athletes. She works closely with WADA as well as the Medical Commission and the USPE Disciplinary Commissions. The Medical Commission, which is made up of three doctors, is the competent body for granting Therapeutic Use Exemptions (TUEs) in accordance with the WADA rules. USPE's Disciplinary Commissions are responsible for assessing and punishing anti-doping violations within USPE. They comprise 5 members, respectively. Each of the Commissions is chaired by a Vice-President. Apart from the latter, each Commission includes a doctor, one member with a legal background and two ordinary members. Anti-doping tests are performed during each and every European Police Championship.